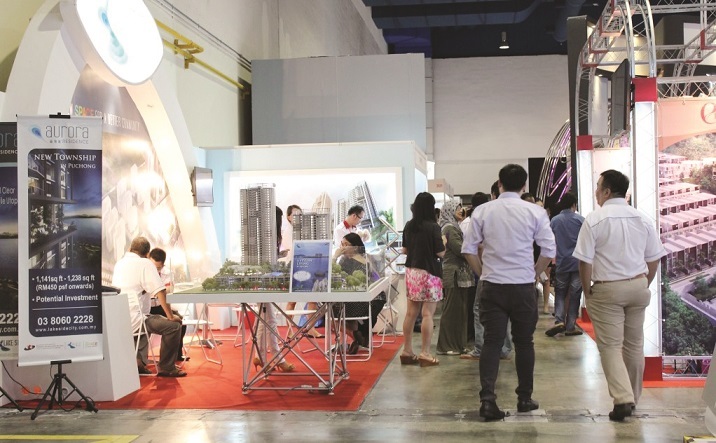 The Malaysia Property Exposition (Mapex), deemed one of the most well-known property expositions locally, made its final series in Klang Valley from Oct 21-23 at the Mid Valley Exhibition Centre. Themed “Home Ownership Through Smart Financing”, Mapex 2016 features various property selections and attractive financing packages, said Datuk Ng Seing Liong, organising chairman of Mapex 2016. He said there was a huge selection of properties from reputable developers alongside packages and products from financial institutions as well as government agencies all under one roof. The six financial institutions were Bank Islam Malaysia Bhd, Bank Simpanan Nasional, Hong Leong Bank Bhd, Maybank Bhd, Affin Bank and Citibank. Ng said that in the challenging housing and property industry over the last few years, Mapex has never failed to make its presence felt, providing a platform for developers to market their products and a convenient one-stop centre for the public to view the properties available in the country. The exhibitors at Mapex include over 50 developers, financial institutions, government agencies and other organisations. Officiated by Minister of Urban Wellbeing, Housing and Local Government Tan Sri Noh Omar, Mapex 2016 was also participated by government organisations such as the Rumah Mampu Milik Wilayah Persekutuan (RUMAWIP) under the Ministry of Federal Territories and Rumah Selangorku under the Selangor Housing and Property Board (LPHS), 1Malaysia Civil Servants Housing (PPA1M), Public Sector Home Financing Board (LPPSA) under the Ministry of Finance, and Perbadanan Tabung Pendidikan Nasional (PTPTN). Ng said that the three-day expo, which was expected to attract 30,000 visitors in total, received 20,000 visitors on the first day alone, which showed the success of Mapex 2016.